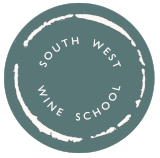 South West Wine School was founded by Jonathan and Hayley Reynolds to provide first rate wine education across the region. Hayley has spent the last 20 years associated with the wine industry and has her WSET diploma. Jonathan shares her passion and is also WSET qualified. The South West Wine School brings together the best wine educators in the South West.